The team’s creativity and follow-through on each of its commitments allowed CSG to make the best business decision for its Omaha operations. 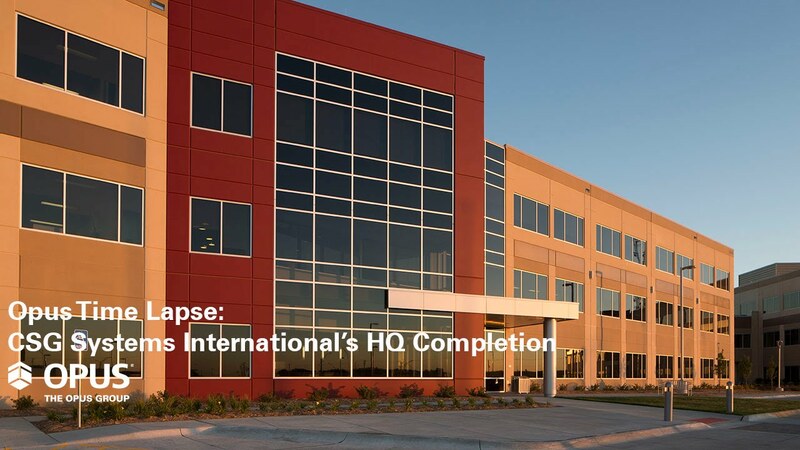 CSG Systems International's headquarters is a build-to-suit, two-building campus designed to house nearly 1,200 existing CSG employees, previously located in multiple buildings in Omaha, Neb., into a single, cohesive space. The buildings incorporate multiple sustainable construction practices, including water efficient fixtures, lighting control systems, local materials sourcing and construction waste recycling, among others. The two buildings are identical three-story structures joined by a two-story enclosed connector. Additionally, a large outdoor plaza space offers green space between the two buildings. Opus’s design-build approach allowed the project team to fast-track the design and entitlement process to only three months by incorporating design components from existing prototypes. Construction of the entire campus was completed in 13 months. Opus AE Group, L.L.C.’s design of the interior space represents a change for CSG. Following the current trend in office space developments, the organization opted for more open areas, greatly increasing the daylight spread throughout the space and collaboration among employees. Many informal collision spaces are included in the interior along with two large break room/catering areas providing much more casual space for employees. Prominently located at 180th and Dodge Street, west of Downtown, this Class A office space is highly visible to the heavily trafficked corridor along Dodge Street.